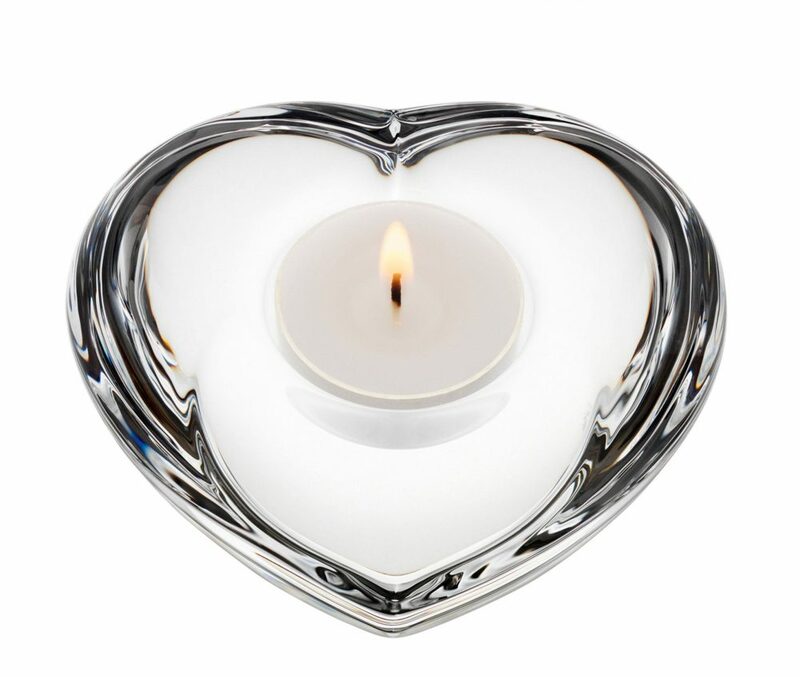 The Orrefors Amour Votive is beautiful heart shaped crystal clear votive. 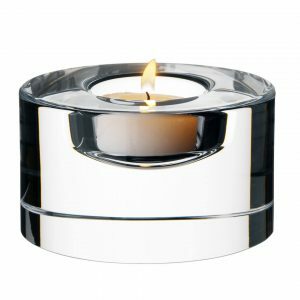 The Amour Votive is that perfect gift for someone you love! Do not be afraid to express that love. 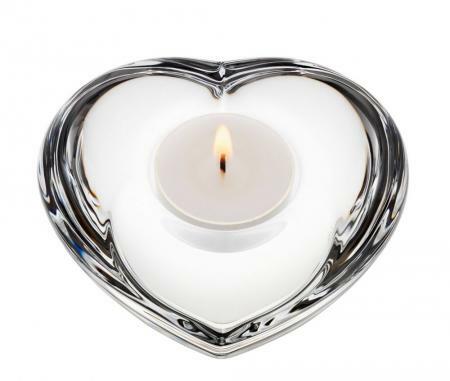 Flowers are great but an Amour Votive can show that love with the flick of a match. 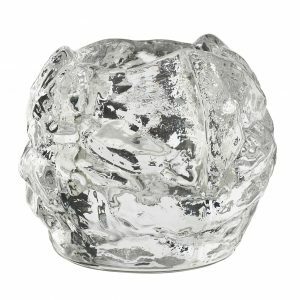 The crystal enhances the natural beauty of light. 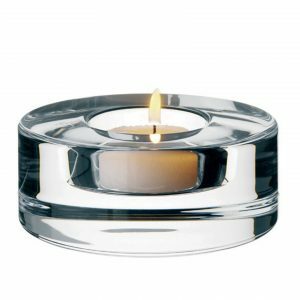 Votives add a sense of peace, love and happiness to your home or make a very thoughtful, imaginative gift for a very special friend. 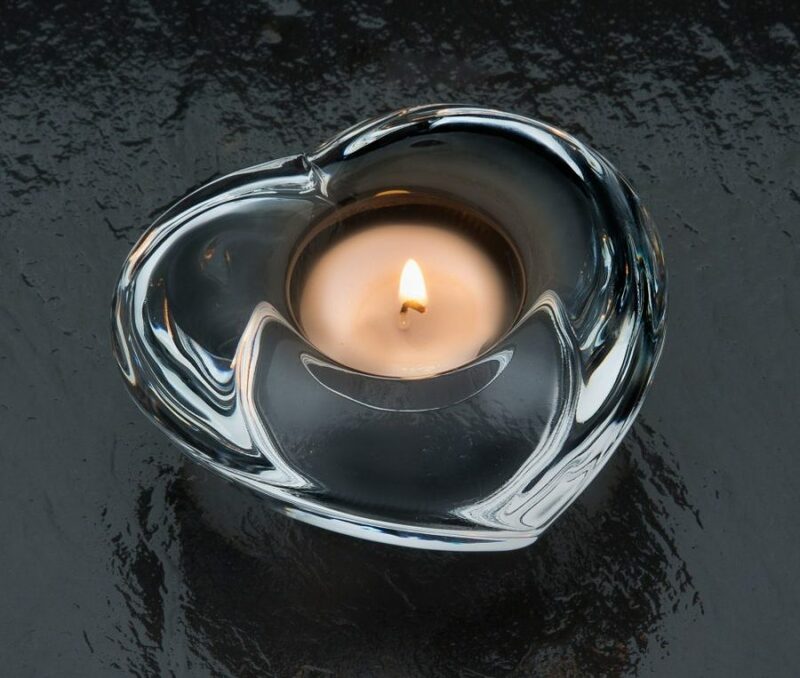 The Amour Votive was designed by Lars Hellston and reflects his passion for glass. Lars Hellsten studied sculpture and ceramics at the College of Arts, Crafts and Design in Stockholm and joined Orrefors in 1972 at a time when Swedish glassmaking was reinventing itself structurally, technologically and artistically. Playing an integral role in that period of creative change, Lars brought new ideas in design and new techniques in glassmaking as well as revitalizing older processes. Lars Hellsten’s artistic vision and technical innovation has made him one of the modern masters of glass design. His work is represented in the permanent collections and exhibitions of museums worldwide. Lars Hellsten’s glass is characteristically massive and forceful with many of his designs from the 1970s and 1980s still bestsellers. As with most Scandinavian artists, nature is a primary source of inspriration as well as his travels, exotic cultures, myth and history, and pure imagination.